Padma Bhushan Ustad Rahim Fahimuddin Khan, the seniormost dhrupad artist belonging to the illustrious Dagar family, passed away on Wednesday, 27th July 2011, at 10:20 PM at Fortis Hospital, Vasant Kunj, New Delhi. He had suffered a massive paralytic stroke on 19 December 2010, which left the right side of his body paralysed and made him lose his speech as well. Khan Saheb was one of our most eminent musicians of the 20th century. Born at Alwar (Rajasthan) in 1927, he was the only son of Padma Bhushan Ustad Allahbande Rahimuddin Khan Dagar. Initiated into music at the tender age of 5, he not only learnt from his father until the latter’s death in 1975, but also had the privilege of learning from his eminent uncles: Ustads Nasiruddin Khan, Ziauddin Khan, Imamuddin Khan and Hussainuddin Khan (better known as Tansen Pandey). This rich and many-sided tutelage enabled young Fahimuddin to achieve total mastery of the 52 alankars, which are the very lifeblood, so to say, of the Dagarbani genre of dhrupad singing. Khan Saheb was also adept at playing the Rudra Veena, an instrument he learnt for over 12 years. Ustad Rahim Fahimuddin Khan dedicated his entire life to the culture and propagation of the aesthetic riches of Dagarbani dhrupad-dhamar singing as transmitted to him by his elders, and was therefore widely respected. A frequent performer at All India Radio and Doordarshan, Khan Saheb presented his music in festivals all over the country, and abroad between 1980 and 2003. He had performed freely in the USA, some European countries; and his music was even recorded in Switzerland, Germany, Italy and India. What is more, in 2000 a book on his art was published in Italy and it is used as a basic book on Dhrupad in some Italian universities and conservatories. Quite well known as a teacher, had as a Professor worked at Rabindra Bharati University in Kolkata, and had also been associated with ITC-SRA in the early days of the Academy; and his music has also been documented by the Indira Gandhi National Centre for the Arts, New Delhi. To set up a reference library which will accommodate audios, videos and books from Khan Saheb’s own personal collection. To set up a museum to preserve the musical instruments, rare photos, and scripts belonging to Khan Saheb and his elders specially with an eye to providing proper keeping to original diaries of his father, Ustad Rahimuddin Dagar which contain quite a few ancient compositions, all duly notated. To organize seminars, concerts, festivals, exhibitions, etc., in Khan Saheb’s memory. To conduct classes and workshops under the guidance of Khan Saheb’s senior students. To set up a Begum Nahid Dagur Provident Fund for providing financial support to elderly, ailing and needy musicians. To offer scholarships those promising students who wish to do advanced research and/or to pursue learning dhrupad music (both vocal and/or instrumental). To organize music competitions in the dhrupad form of Indian classical music. To publish in any medium/format — including audio, video, print, — dhrupad music either independently or in collaboration with any other like-minded agency, society, be it a profit making or non-profit one. 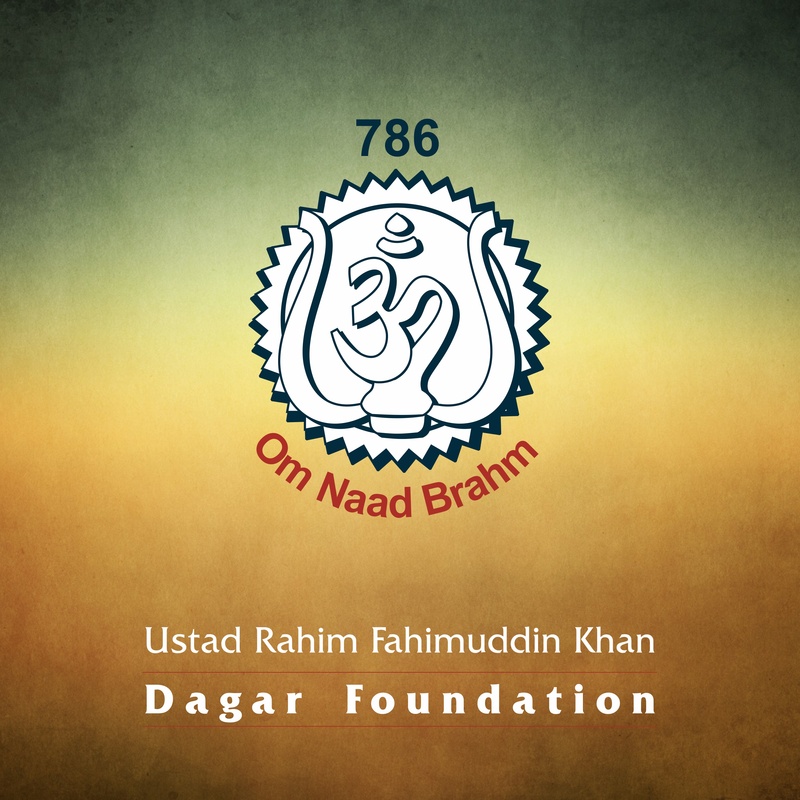 To establish a residential Cultural Center, where students and scholars from India and all over the world will find original material for pursuing their work for the preservation of Dhrupad. Since the passing of the late maestro in 2011, The Anad Foundation, with support from Professor Francesca Cassio Ph.D continue to extend a monthly financial support of Rupees 5000/- to the widow of late Ustad Rahim Fahimuddin Dagar. Anad hopes to extend this programme in the near future.